Pharmacies are busier than ever and more competitive. It is essential that pharmacies develop new methods of doing business to meet the demands of the customer. On top of that, the government has added more regulations regarding confidentiality. Improve your staffs performance with out paging solutions staff can now recall customers waiting for a prescription and customers can now recall members of staff if they are not by the desk not only do our solutions increase your customer satisfaction but can also raise your profitability as waiting customers are able to browse the pharmacy without the worry of missing their name. Page guests when prescriptions are available. Allows customers to browse store increasing sales and profits. Also keeps customers' confidentiality by eliminating overhead PA system. Customers can now be immediately recalled with a push of a button! 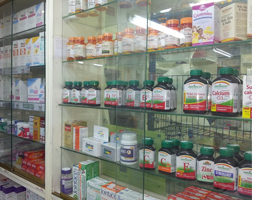 Customers are now able to browse the pharmacy while they wait for there prescription or pharmacy appointment. Customers names and addresses are no longer shouted out in front of other waiting customers, This can be beneficial for all waiting customers and puts customers at ease knowing the process of the pharmacy is confidential. Increasing your sales and profits and eliminating over crowding. Your customers satisfaction will improve and staffs performance will increase. 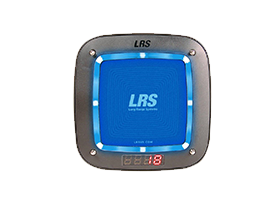 When customers are to be recalled the coaster pager will vibe, flash or both and then the customers is aware to make there way to the front desk to pick there prescription up. Pushbutton transmitters enable customers to request assistance with the push of a button. Overall improving customers satisfaction, staff are able to quickly attend to waiting customers speeding up customer wait times. Our call buttons instantly page a member of staff so that customers are not waiting to be seen too. If you need more information on our Pharmacy Paging Solutions then please contact us on out online form where a member of our staff will get in touch as soon as they can or you can call us on 01782 537000 to speak to us today.